Mr. Hanly uses his experience in criminal matters in state and federal courts to help his clients who are under investigation or who have been charged with crimes in state and federal court. An accomplished and respected trial lawyer with over 60 criminal jury trials to his credit, Mr. Hanly knows his way around a courtroom and he puts that knowledge to work for his clients every day in all areas of criminal law. Navigating the treacherous waters of a criminal prosecution is difficult. To deal with the awesome power of the government you need someone with experience; someone who has been there. 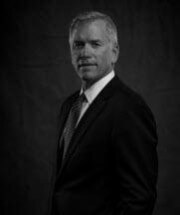 Mr. Hanly will put his knowledge of the inner workings of the prosecutor's office to work for you. Put knowledge and experience on your side. Mr. Hanly's experience can provide you with peace of mind, knowing that you are in capable, experienced hands.